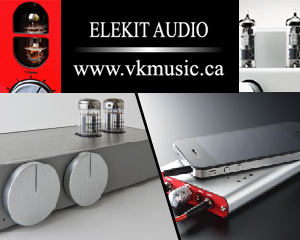 Vincent Bélanger – Audio Note Music CD’s and LP’s. $20 – $60 CAD. 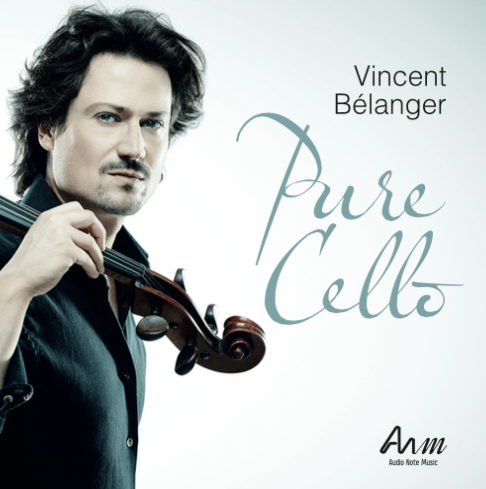 By now the gifted cellist Vincent Bélanger is a staple on the audio show scene, but if you’ve not had the pleasure of hearing his recordings on the Audio Note Music label, I have to say, they are excellent. ANM’s discs are recorded with top notch equipment, in some great acoustic environments. Of the two CD’s I have, the disc Pure Cello would be my top recommendation. It’s very enjoyable from start to finish, all superb solo performances, and the sound quality is indeed stellar – very natural and dynamic, and very analog…one of the best-sounding cello recordings I’ve heard. Audio Note Music store. 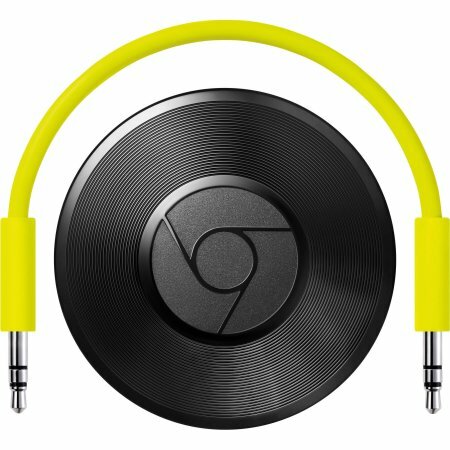 Google Chromecast Audio. $45 CAD. Much as I’m not a fan of the mega corporation, Google did something really well here. They made a little puck to stream digital music files from your phone, tablet, or laptop – to your stereo. Wirelessly and easily. They didn’t make it for audiophiles, but it works well! Get a $10 optical cable (I had this already for my Macbook), and use the Chromecast as a pass-through to your DAC, or the DAC in your CD player. You can then stream anything from an MP3 to a high-rez file (up to 24/96), even an Internet radio station or the audio from your favourite Netflix show..all wirelessly. Again, this isn’t an audiophile product, but for some of us who are less digitally-inclined, it works pretty decently. It sounds good because, mercifully, it uses your home WiFi, not that lousy Bluetooth thing. Thanks to the guys at Soundstage! for writing about this. You can get it at (gasp) Best Buy. 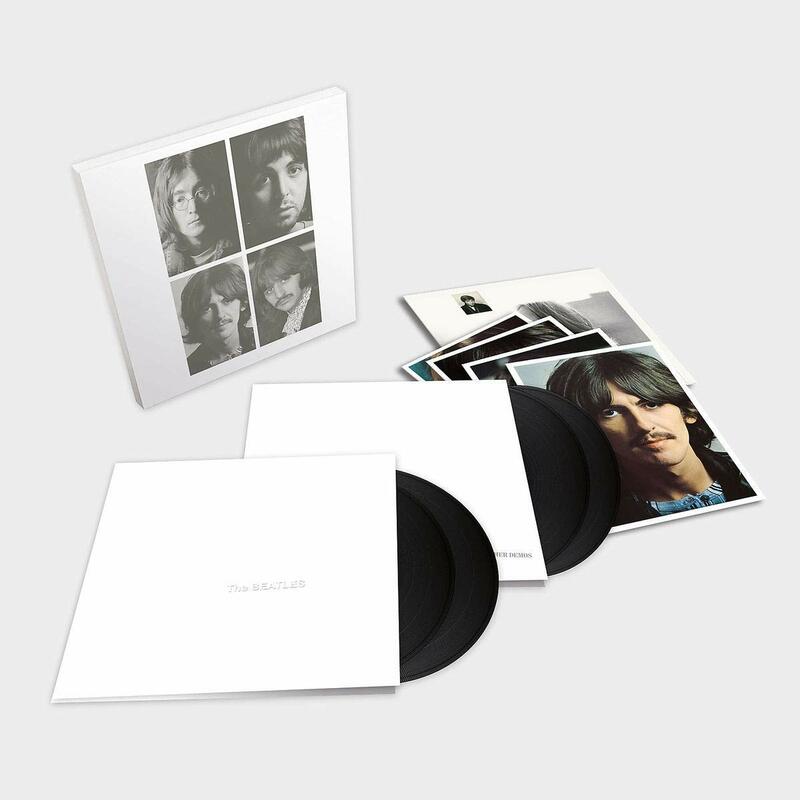 The Beatles (White Album) 50th Anniversary Packages – $60 to $300 CAD. Well, I’m not running out to buy this myself, but it does look pretty darn good. See my mini review, here. For that music lover who doesn’t own a good vinyl copy of the White Album, it’s a no brainer. If you go for it, do consider a “super deluxe package”, i.e. one that includes the Esher Demos, they’re amazing. It’s like the Beatles farting around with George’s tape recorder in his garage. Except the sound quality is good, and the lads are unveiling some of the best songs written in that entire era. Maybe in any era. Buy it from your local record store. 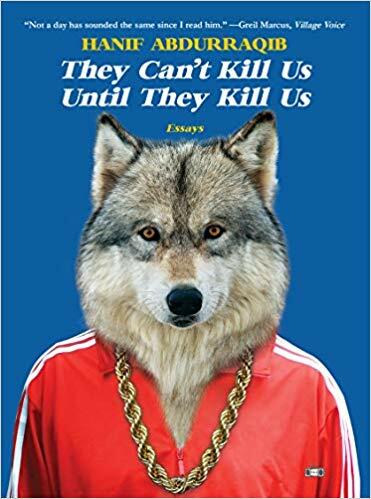 They Can’t Kill Us Until They Kill Us, by Hanif Abdurraqib. Know soneone in their teens or twenties/thirties who’s a music fanatic? This might be right up their alley. 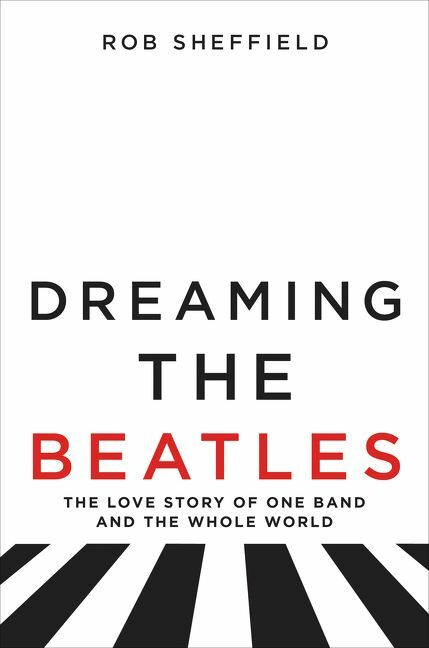 It’s a more sweeping survey of modern culture and musical influence. This book has a ton of rave reviews; it’s high on my must-read list. 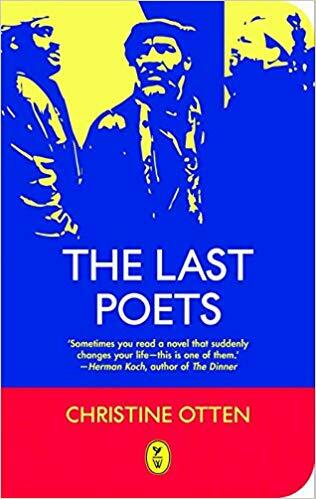 The Last Poets, by Christine Otten. I’m still reading this, it’s a page turner and an important work, I think. I’ll be writing a proper review soon. Meanwhile, if you know someone with an interest in African-American music, rap culture, and social justice, this is the definitive and riveting story of the influential and still-underground NYC collective known as The Last Poets. 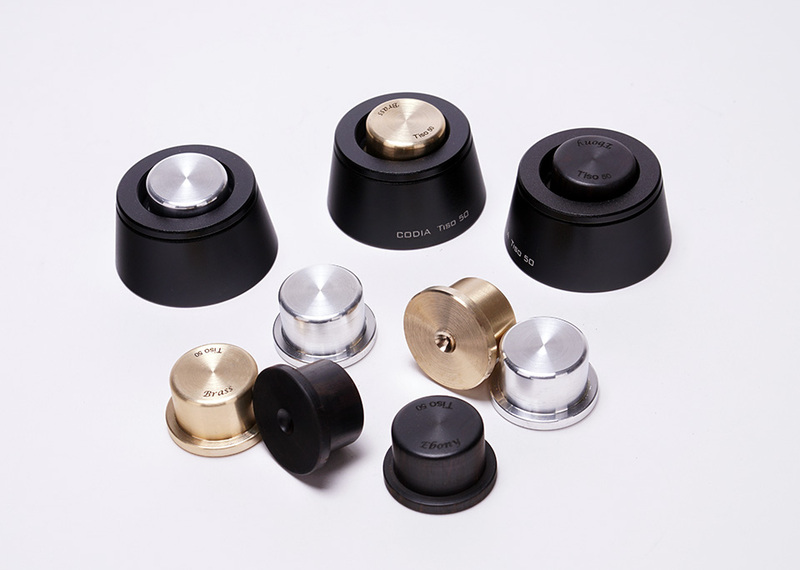 Codia Acoustic Design’s TISO Isolators. Little feet that do more than feet, they’re designed to isolate audio components from sources of external noise/vibration. Jon Eben Field is currently evaluating these, look for his review sometime next month. Knowing Codia from their exquisite audio stands, I think it’s a safe bet to say these will be a nice addition for the audiophile who has (almost) everything. See Charisma Audio for more info. Codia Acoustic Design’s LP Stabilizer. These are currently under review by Steve Graham. They look pretty darn nice, and purposeful. 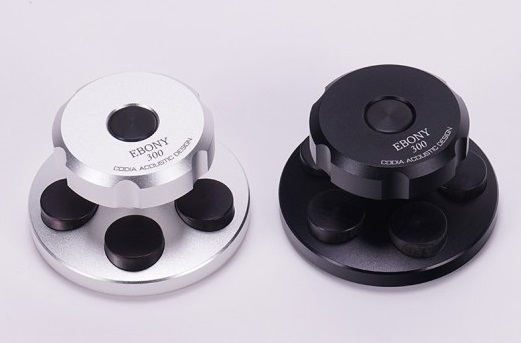 These are designed to help flatten LP’s – or to be precise, couple them more securely to the platter, while being played. They come in 300 and 600 gram versions. Distributed by Toronto’s Charisma Audio. 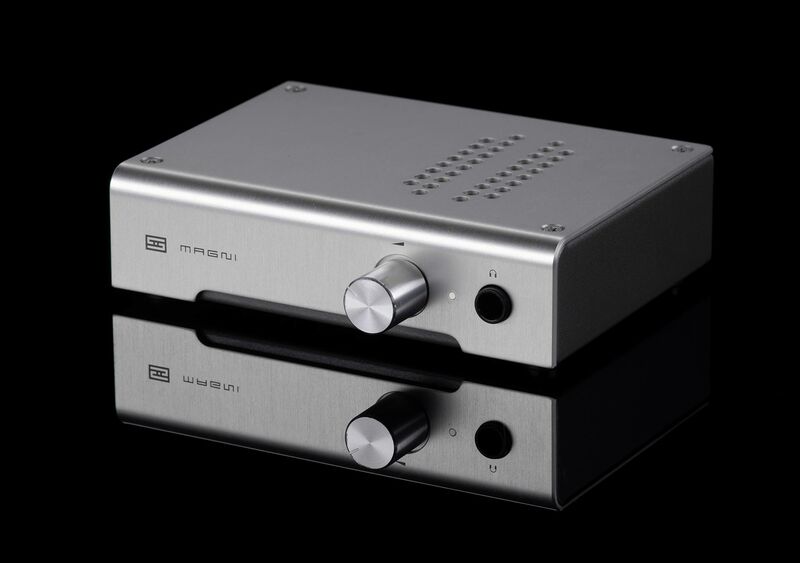 Schiit Audio Fulla DAC/Headphone Amp. I got this in for review late last week. It’s crazy good for $99US! A very versatile unit, this could be the heart of a desktop/office system, in a case not much bigger than a deck of cards. I’ll have more to say when I review it, but like everything else I’ve seen from Schiit, the value is off the charts. Schiit Fulla product page. Schiit Audio Magni Preamp/Headphone Amp. This slightly bigger little puppy arrived along with the Fulla. I’ve been playing with it, using my Hifiman/Massdrop HE350’s, and it sounds excellent. This is a compact but very high quality preamp. Also just $99US direct from Schiit. 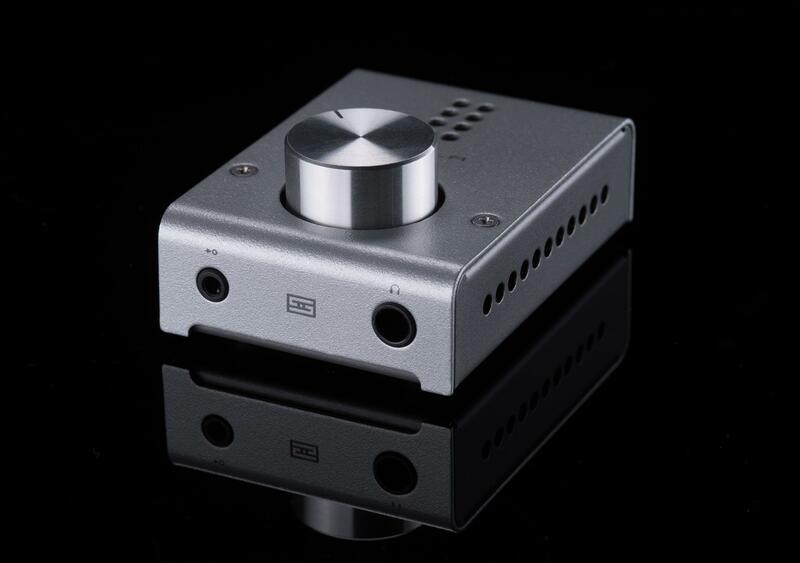 Schiit Magni product page. Xavian Perla Esclusiva monitor speakers. €1650 including VAT. 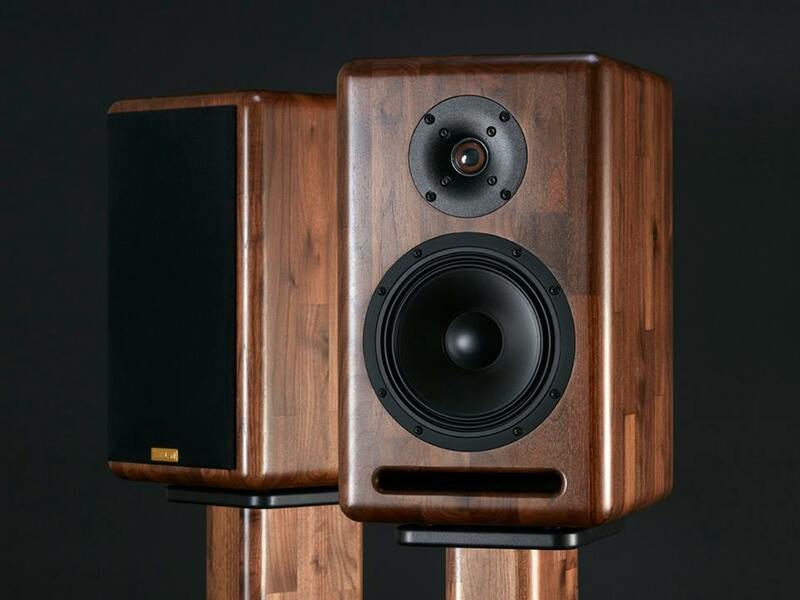 For those with bigger holiday budgets, why not take a look at the wonderful Xavian Perla Esclusiva speakers, made in the Czech Republic with Italian drivers? I reviewed the Perla Esclusiva recently (review link), and they’ve left a lasting impression on me with their versatility, their big, refined performance, and their beautiful appearance. This is one of Wall of Sound’s Gold Star Award winners. Xavian Perla Esclusiva web page. 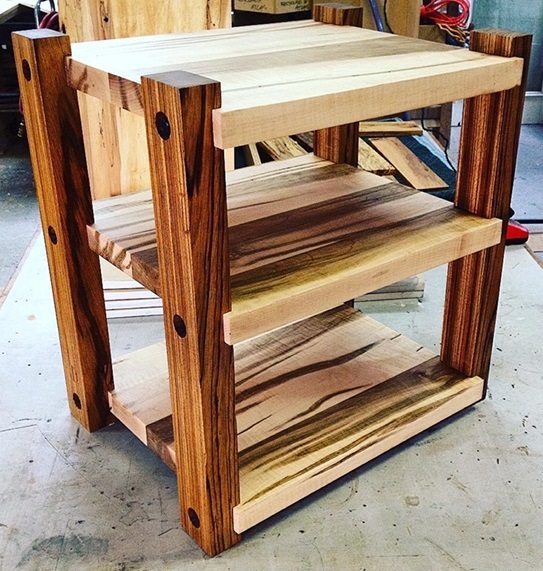 Massif Audio Design – Custom Hardwood Component Racks. Right here in the Greater Toronto Area, Trevor Doyle builds custom racks and platforms from all kinds of exotic hardwoods. Take a look at his Gallery page – the ‘audio furniture’ he creates is stunning. 3-shelf racks start at $2100 CAD. Also sold at various local hi-fi dealers. See the Massif Audio Design website for information.